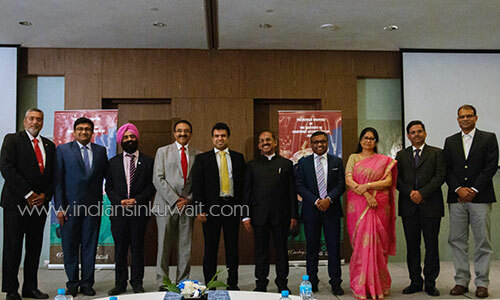 The Institute of Chartered Accountants of India (“ICAI”) together with its Kuwait Chapter organized an overseas campus placement outreach program in Kuwait recently. The ICAI is a statutory body established by the Chartered Accountants Act, 1949 for the regulation of the profession of Chartered Accountants in India. Currently ICAI has over 250,000 members spread throughout India and in different parts of the world. This year ICAI will step into 70 years of its glorious existence. 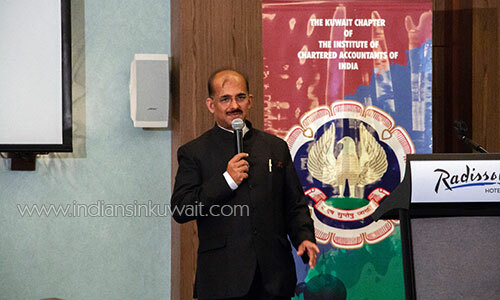 There are over 450+ registered members with the Kuwait Chapter. This year the Institute wanted to promote the campus placement initiative in the Middle East and this was to highlight to prospective employers in Kuwait about the program. The Institute has extended this program not only to the newly qualified but also to experienced CA’s. The Central Council Member Mr. Babu Abraham gave a presentation on the various aspects of the CA course and the campus placement process and invited prospective employers to participate. For more details on the program please feel free to send an email to [email protected] and the executive committee members will be glad to assist you with process.